Solar Pool Heating Solar Pool Heating Solar Hydronics Corp. Solar Hydronics Corp. has been in the solar pool heating industry since 1997. Since our inception, we’ve seen many manufacturers come and go. SHC has always remained one of the world’s premier solar pool collector manufacturers because of our relentless pursuit of perfection. As advancements in manufacturing technologies continue to emerge, SHC has led the way in modernizing our factory, our product engineering and design and therefore the quality of our products. 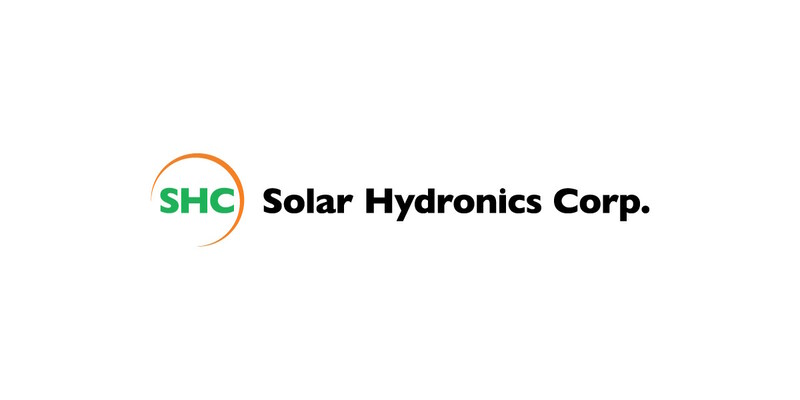 No other solar pool heating manufacturer holds a candle to SHC’s innovation and total quality. All our systems are backed by customer service through our network of authorized dealers, and protected by our lifetime limited manufacturer’s warranty. All you do is set the pool temperature and let the SUN do the rest! When the automatic controller senses that your pool is colder than you prefer, water is diverted from your existing pool pump to your solar system. As the water flows through the solar collectors, the sun’s free energy heats it. The heated water then flows back to your pool. This simple yet highly efficient cycle continues until your desired pool temperature is reached. You can also cool your pool during the warmer months by running your SHC system at night. That’s right! Your controller can automatically switch to cooling your pool, maintaining the perfect temperature. As for the material, most solar collectors today are made of polypropylene due to its durability. You should avoid collectors made with rubber or rubberized material. Even though these type collectors are less expensive, they will not last as long in direct sunlight. One way to select the right collector is by examining an actual sample of the collector you are considering and asking a few simple questions like the following. How is the collector made? Is the collector made in the USA? Have they been manufacturing solar pool heating collectors at least as long as their warranty? Is the collector warranted by the manufacturer? 1. Is the contractor licensed or certified? Having a valid and appropriate contractor’s license is required in some states. Confirm licensing with your state’s contractor licensing board. 2. Is the contractor insured? Make sure that the contractor you select has the proper liability and workman’s compensation insurance. It is a good idea to ask for copies of their insurance or a certificate of insurance prior to signing a contact or work order. 3. Does the company have experience installing and maintaining Solar Pool Heating systems? 4. Is the contractor reputable? You can check with the state licensing board or the Better Business Bureau (BBB) to see if the contractor you are considering has any complaints against them. 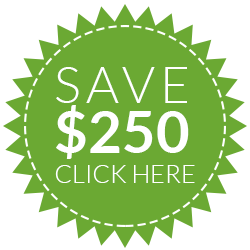 If you have several quotes for your Solar Pool Heating system, you may wonder if the lowest bid is the best deal. Most times it is not. A contractor is in business to make money. He must cover his overhead and operating expenses. A low price could be a sign of inexperience, a company that is struggling to survive, or a company that is taking shortcuts like not pulling permits or using inferior installation materials and methods. Contractors that expect to stay in business must charge enough to cover their products and services. Price is not the only consideration and too low a price should be a red flag. Make sure all the quotes you get are based on the same information and requirements. For example, comparing a bid for a six collector system with a manual control with a bid for a seven collector system that includes an automatic control is like comparing apples to oranges. To ensure that you are comparing apples to apples, ask the contractors to specify the make, model, size and number of collectors with all the components of the system included in their bid. Cost should include having the system installed and getting it up and running, as well as the cost of hardware and permits if required. Selecting the right system is not difficult as long as you follow a few guidelines and use good old common sense. Choosing the right system and contractor will ensure years of trouble free service so that you and your family can sit back, relax and enjoy all the benefits of owning a warm, comfortable swimming pool. My experience was great. They were timely. They said they would be here at 8 o’clock, and they were here at 8. The work was done in 3 hours & they even cleaned up after themselves. They put 7 solar pool panels on my roof for a solar pool heating system. They showed me the system and explained how the process worked. I am very pleased. The service was great. Great service and a wonderful product! Ritchie and his staff are professionals and they give great customer service. We love our system! We would recommend this company and their product. Did what they said they would do, within budget and on time. The team that came out was very professional, neat and courteous. They followed through with what they had agreed on doing and kept within my budget. The quality of workmanship, materials and know how was above the competition. They also went the extra mile. They repaired items NOT part of the original agreement at no additional cost! In a nutshell, I highly recommend them. The gentleman that came out to give me an estimate and do the work was very knowledgeable. He got right up on the roof, took measurements, and told us exactly what he was going to do. We purchased a solar pool heating system and an automatic chlorination system. I have no complaints at all. They followed up on the installation very well and even sent us a Thank You note after they were finished! I thought that was very nice because most companies don’t care once they have finished the job. Overall, the experience was excellent. Of all the people who have done work on my house, these guys have been the best. They are such nice people to work with – I wish they did everything!